An unmissable white-knuckle ride from the Kasserine Pass (Tunisia) to Anzio, Operation Dragoon to the final attacks on the Third Reich, this is the gripping story of the men and machines that took on Nazi Germany's best. 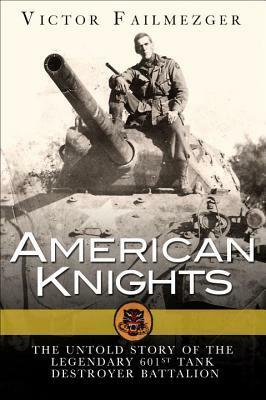 This book not only reveals the technical details and origins of the 601st Tank Destroyer Battalion, it places the reader on the front lines of the European war. As the war swung in the favor of the Allies, it became clear that no final defeat of the Third Reich would be possible until the armored monsters of the Panzerwaffe were defeated. But who would, or even could, take on the mighty Tigers and Panthers, just a handful of whom could stop entire formations in their tracks? The answer lay with the formation of a new type of unit, the Tank Destroyer Batallion. This is the story of the men and machines who made up the very first Tank Destroyer Batallion, the 601st, from their unique training and formation, to the final, desperate battles in the heart of Nazi Germany. Packed with rare material, letters, diaries and unpublished photographs, this is an intense and intimate chronicle of the men who fought the Panzers in an astonishing 10 campaigns and 546 days of lethal combat. Re-live the excitement and terror of battling the best the Wehrmacht and SS had to offer, in every major campaign in the West.